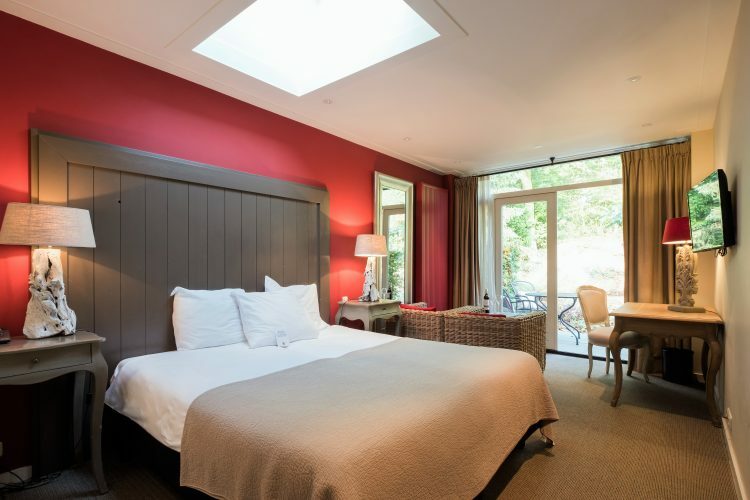 Dennenheuvel offers you the choice of six different room types, each with its own atmosphere. Our gardenside rooms on the ground floor have French doors to your own terrace with seating. The skylight right above your comfortable bed offers a spectacular starry sky on a clear night. The spacious garden side rooms are equipped with a luxurious bathroom with natural stone and a double showerhead. The romantic room has a large, four poster bed and of course a bubble bath as the ultimate treat.